Did you know about Single Puppy Syndrome? You are here: Home / Health / Did you know about Single Puppy Syndrome? 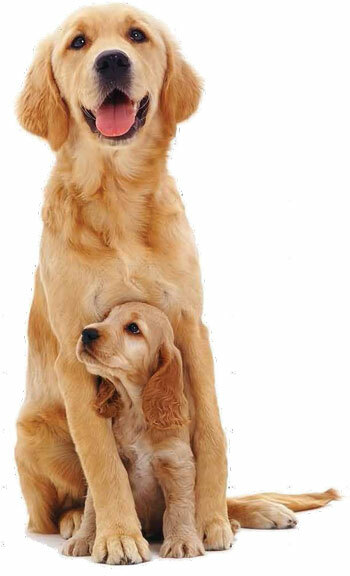 Dogs are polytocous, meaning they have more than two young ones each time they give birth. They have an average litter size ranging from three to seven, depending on the breed. But sometimes, it is seen that only a single or two puppies are present in a litter. This is quite rare and is called Single Puppy Syndrome. Though it may seem unlikely, a single puppy litter can cause a multitude of problems during the actual time of whelping. Whelping or birth starts once the foetus gets too big to be nourished and maintained in the uterus by the placenta. Due to the lack of adequate oxygen and nutrients, the foetus releases cortisol (a stress hormone). This hormone acts on the placenta and the uterus, causing a cascade of hormonal and physical changes and finally ending in the birth of the puppies. However, when a single puppy is present in a litter, the amount of cortisol released by the lone puppy isn’t enough to initiate birth. This spells death for the foetus due to inadequate nourishment. Since the environment of the uterus is sterile, the foetus doesn’t rot after death, but rather dries up and becomes ‘mummified’. Sometimes the birth process might initiate incompletely and cause the cervix to open up partially. This allows microorganisms to enter and due to these microorganisms, the foetus starts to decay. If left long enough, this might permanently damage the uterus. In addition, a single foetus might grow abnormally large and get stuck on its way out during whelping. Unfortunately, there isn’t a single cause for a single litter pregnancy, though research suggests several factors which can influence it. There are some breeds which are predisposed to small or even single litters. Single puppy pregnancy tends to occur more in small or miniature breeds. It is particularly common in Scottish Terriers. Dogs have a peak litter size between the age of 3 and 7 years, after which the number of puppies in a litter decreases. Breeding dogs after the age of 7 years increases the chances of having a single puppy litter. The time of mating also has an influence on litter size. Radiographs (X-rays) are the best way of counting foetuses in the pregnant dog. The skeletal system of the dog foetus develops after 54 days of pregnancy and the number of foetuses can be counted by counting the number of foetal skeletons. However, X-rays can be potentially harmful for the foetus, so there must be as little exposure as possible. Though the actual condition takes place at the time of mating and fertilization, the effects are seen at the time of birth. It is extremely important that dogs susceptible to Single Puppy Syndrome are closely monitored throughout their pregnancy. In case of a non-initiation or incomplete initiation of birth, the vet will first perform an ultrasound to find the health status of the foetus by detecting the heart rate and bowel movements. Depending on the viability of the foetus, the vet will decide whether to go for a caesarean section or an induction of birth using various drug combinations. Make sure to breed dogs at the right time based on the heat period. Breeding of dogs after the age of seven must be done with caution and pregnancy and birth must be carefully monitored. Keep accurate records of breeding dates and the expected date of delivery. Single puppy syndrome is quite rare and could have some pretty nasty complications. Pet parents are advised to always maintain proper breeding records. Talk to your vet if you notice any problems during whelping. Your vet would be able to offer appropriate treatment and lifestyle changes (if needed).